Your child is suffering from constipation when he/she is having difficulty in passing stool. Usually, there is nothing to worry, as it is a very common problem for kids. All it needs is diet change and perhaps mild medication, but it does need some careful observation; once you discover the causes, it becomes easier to look for solutions. Though over-the-counter medicines are easily available, it is not advisable to give them to your child, particular if he gets regularly constipated. Instead, you can give him/her a stool softener or a laxative, so that bowel movement becomes normal. Although these are safe in children, a pediatrician should be consulted before continuing regularly. These are rich in fibre, vitamin A and potassium, and good for curing constipation. 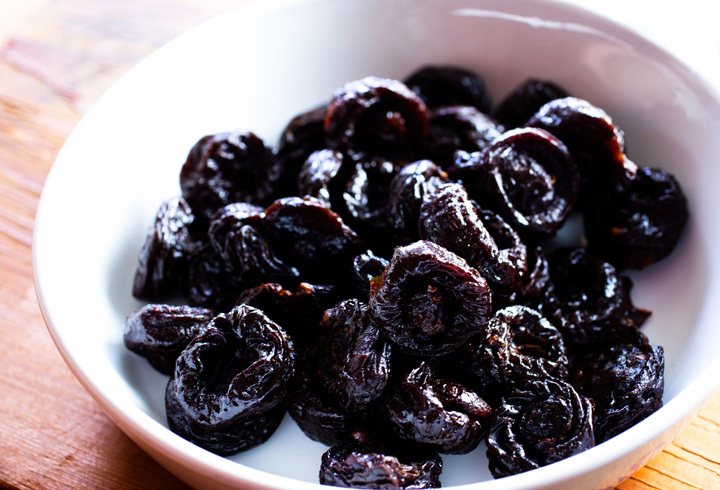 Prunes contain sorbitol, which has a natural laxative effect in the body. If you cannot get prunes, then opt for dried plums, which are also high in disease-fighting antioxidants and have both insoluble and soluble fiber. One of the best natural laxatives to ease the movement of stool through intestines. One pear supplies around 5.5 g of dietary fiber per fruit. Apart from being a rich source of fibers, the fruit is an excellent source of Vitamin C.
Instead of feeding your doll the high-calorie sugary desserts, try offering her a juicy, ripe and sweet pear. Being full of fibre, broccoli helps in bowel movement. Broccoli belongs to the cruciferous vegetable family and possesses great cancer-preventing properties. It’s best to eat vegetables raw because cooking them can reduce their fiber content. But if you prefer your veggies like broccoli cooked, the healthiest cooking methods are steaming, broiling, and baking. A cup of boiled broccoli contains approximately 5.1 grams of fiber. Include this high fiber foods for children as many times as you can. These seeds are rich in omega-3 fatty acids and full of fibre, and can be eaten raw an empty stomach. If you opt for flaxseed as a constipation remedy, you should remember that flaxseed oil is different from the actual flaxseeds, which are available as whole or crushed seeds; flaxseed oil is not a constipation remedy. Raw carrots that are part of a healthy fibre-filled diet can improve your stool movement, as they are full of fibre power. Remember to eat them raw; juicing or cooking them won’t work, as its fiber content will be lost. Beans not only contain dietary fiber but are also a rich source of iron and protein, which promote healthy growth and development for your kid. You can include black beans, kidney beans, and nutritious legumes in your child’s diet liberally. Kidney beans contain 14 grams of fiber per single cup. Beans work well with different kid-friendly meals and snacks. You can make a bean dip to vegetable recipes. Half a cup of boiled navy beans provides almost 10gram of fiber to your kid. Some of the other varieties of beans like pinto, black beans, and garbanzos can also supply almost 6.2 and 8 g of fiber per half a cup. Chickpeas or garbanzo beans have a nutty flavor and contains 11 grams of fiber per one cup serving. The beans also contain higher levels of iron, plant protein, and Vitamin B6. The vital nutrients boost your kid’s nervous system functioning. Try to incorporate beans into salads, making a base for salsa or adding them to the veggie soup. Beans are known to be the best fiber rich foods for kids. Dried or fresh, peaches are good source of fibre. Peaches are a delicious fruit that are filled with fiber. You’ll get the best benefits if you also eat the skin which contains a very large amount of fiber. It helps to make your stool softer. If you’ve never tried figs, you’re missing out on one of the best food for constipation in children. Figs are an excellent source of fiber. A whole grain comprises of all the edible parts including the germs, bran, and the endosperm. Some whole-grains to include in your kid’s diet are barley, oat, rice, corn, and millet. Whole-grain bread or crisp bread can regulate your kid’s digestive disorder and promote healthy bowel functioning. Some popular wholegrain breakfast cereals for kids are brown rice, puffed whole grains, popcorn, oatmeal, quinoa, and bulgur. Whole-grain cereals are excellent sources of minerals, healthy vitamins and phytochemicals. Pineapple juice is a natural laxative that can help you to have better bowel movements. It also regulates digestive system and avoid constipation. You can make your own with a juice or you can purchase it bottled at your local supermarket. Raspberries contain a higher percentage of dietary fibers than most fruits. A ½-cup serving of fresh raspberries can supply almost 4 grams of fiber to your kid. Raspberries also are rich in Vitamin C and antioxidant compounds, which boost your kid’s immune system. Raspberries help your little one to fight cancer, overcome inflammation and symptoms of arthritis. You can add a few pieces of raspberries on fresh and low-fat yogurt as it serves as the best protein-rich breakfast for your kid. Raspberries are one of the best foods high in fiber for kids. The avocado is a tropical fruit mostly found in Central and South America. Different varieties of avocados like the California avocado and the pear-shaped Florida variety contain a high proportion of dietary fiber. A quarter portion of a California avocado contains 57 calories and 2.3 grams of fiber while a quarter portion of a Florida avocado contains 91 calories and 4.25 grams of fiber. Apart from dietary fiber, avocados are rich sources of potassium, folate, Vitamin E and heart-healthy monounsaturated fat. Lentils are nutrient-dense and versatile foods that you can incorporate into your kid’s diet easily. A ¼-cup serving of lentils supplies almost 58 calories and 4 grams of fiber to your kid. Apart from fibers, lentils are low fat and an excellent source of magnesium, potassium, zinc, iron, and Vitamin B. For your kids, you can cook some lentil soup or add some lentils to salads. Oats are natural fiber-rich foods that also contain complex carbohydrate, iron, protein, zinc, selenium, and thiamine. One cup of cooked oats supplies almost 166 calories and 4 grams of fiber to your kid. Plain and fortified oats have the same amount of fibers as compared to the regular oats. Wheat bran contains 6 grams of fibers per ¼th cup serving. The grain contains a high proportion of manganese that plays a pivotal role in regulating the metabolic activity. You can use the inexpensive wheat bran and cook it along with oatmeal or add to your kid’s favorite pancake batter. You can also blend wheat bran into baked cookies, protein shakes or homemade energy bars. Wheat bran is one of the best fiber rich foods for children. Papaya is an amazing laxative. 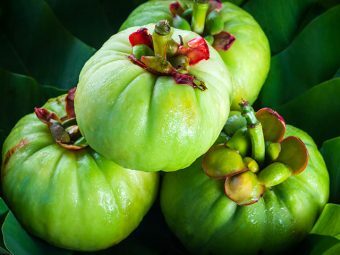 This fruit also has Vitamin A for the eyes who watch a lot of TV. Any fruit with edible skin is a powerhouse of fibre. Slice apples, pears or peaches into very thin stripes and squeeze their juices, so that you need not strain. A simple reason that the skin gets stuck between teeth, we peel the very source of fibre. Let the skin be! Keep away that pack of white rice, which has the lowest fibre percentage of all grains. Opt for Brown rice, which has more fibre and is healthier all around. Brown rice contains a high percentage of dietary fiber as compared to white rice. Though Indians are strictly white rice eaters, you can also include brown rice in your kid’s daily menu. A single cup serving of brown rice contains almost 3.5 grams of fiber. So, include this high fiber diet for children. It does take a wee bit longer time to cook, but it is worth the wait! You can also buy processed Brown rice which cooks faster. If your family simply can’t bear to eat brown rice, choose brown Basmati rice, which is thinner and a bit tastier. Green pea is a popular fiber-rich vegetable and a ½-cup serving of cooked green pea supplies almost 67 calories and 4.4 grams of fiber to your kids. Green peas also contain a high percentage of vitamins C, A, B, K, zinc, iron, protein, and potassium. Be it fresh or frozen green peas are full of fibre. A Green pea soup with a pinch of pepper and salt will do wonders to your child. Carrots and spinach are another option for soup. A baked or cooked sweet potato with skin is lesser known on the dinner menu but equally delicious. Give it a try. Artichoke is an excellent source of fiber. You can steam the artichokes with a small amount of olive oil, crushed garlic and rosemary and feed your little one. You can also stuff artichokes with sundried tomatoes and feta cheese and roast them in the oven. If constipation is driving your kid nuts, then a fistful of nuts is what will come to your rescue! Raisins, almonds, dried figs- have them at snack time or add them to cereals at breakfast. To sneak in some calcium along, add sesame seeds to filling in wraps. Make chutney (a type of condiment), of nuts for a South Indian breakfast or sprinkle few on whole-wheat paratha (Indian flatbread). This method is recommended for kids above 4 years. A quarter-cup serving of almonds contains about 3 grams of fiber and around 170 calories. Be moderate in the serving size of almonds and other nuts to your kids, as they are extremely high in calories and can make them obese. Popcorn is another food high in fiber for kids constipation instead of carbohydrate-heavy French fries or potato chips. Half a cup serving of corn kernels contains almost 2 grams of fiber. Corn supplies 3.5 grams of fiber per three-cup serving to your growing kid. If you have a microwave oven, it is very easy to make popcorn at home. But a word of caution: Keep the quantity to the minimum. Cut the butter and cheese, and keep it simple and plain. Delicious and sweet-flavored blackberries contain 8 gms of fiber per one cup serving. The dark delights are rich sources of Vitamin K and help your kid fight against heart disease and cancer. You can incorporate blackberries in protein shakes, yogurt, oatmeal pancakes or fresh fruit salads for your kids. The Bugs Bunny’s favorite veggie possesses a delightful nutty flavor and herbal fragrance. A single cup of parsnips contains 7 grams of dietary fiber. The tubes supply 60 percent more dietary fiber than normal carrots. Parsnips contain a high percentage of potassium that imparts healthy muscle functioning of your kid. You can roast or add slices of parsnips to veggie soups and stews. Soya milk is highly recommended for kids and adults, as it has the same qualities present in regular milk minus the fat and the lactose. For the lactose intolerant youth and the vegan loving family, this is a god send source of calcium and fibre. Soya can be added as chunks or granules to fillings. If your child refuses to drink soy milk, tofu can interchange with paneer (cottage cheese)in a filling. Apart from being a fibre food, sprouts have Vitamin B complex and Vitamin C, which are immunity boosters. The longer you sprout them, the more nutritious they will be. It is a throat irritant, though. So sauté or boil sprouts before use. Unless you want everyone to end up clearing their throat for no reason! Brussels sprouts are nutrient-dense foods, loaded with huge amounts of dietary fiber, vitamin K, and vitamin C. A single cup serving of sprouts contains 3 grams of fibers. High fiber food for kids are so important to keep them healthy. The healthy nutrients present in Brussels sprouts reduce the risk of cardiovascular diseases in kids. You can serve roasted Brussels sprouts to your little one. Sprinkling a pinch of salt and pepper can elevate the taste. A regular consumption of dietary fiber regulates your kid’s bowel movements, by acting as a bulking agent, and making the stool easier to pass. Fiber prevents both constipation and diarrhea. Fiber also prevents conditions like hemorrhoids, gallstones, and irritable bowel syndrome (IBS). 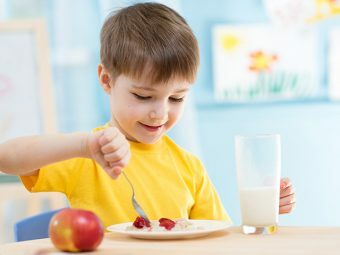 Researchers conclude that a high-fiber diet reduces the risk of gastroesophageal reflux disorder (GERD) and ulcers in kids. Soluble fibers present in fruits boost heart health. A regular intake of dietary fiber lowers the LDL (bad) cholesterol level and reduces risks of coronary heart disease, diabetes, and stroke. A diet high in insoluble fiber lowers the risk of type 2 diabetes in kids. So, the regular intake of fiber can protect your child from diabetes. Researchers suggest that the intake of a high-fiber diet can prevent cancers of the stomach, mouth, colorectal, and pharynx. A regular intake of insoluble fiber helps flush the harmful toxins from the body and attain a healthy skin. Include a fiber-rich cereal in your kid’s daily breakfast. Make your little one eats plenty of fiber-rich fruits like apples, oranges, pears, figs or raspberries. Don’t peel off the outer skin of fruits like apples and pears, so that your kid gets enough fiber. Add one or two fiber-rich vegetables to your kid’s diet. As the vegetables are low in calories and a rich source of nutrients, they help boost overall body growth. Add beans or lentils to your kid’s tossed salad, pizza, and soups. 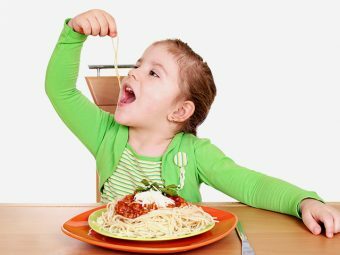 Buy whole-grain and whole-wheat bread and pasta for your kids. Add a small quantity of wheat bran, oat bran or ground flax to different baking dishes. Sprinkle dried fruit, nuts or seeds into your kid’s cereal, salads or yogurt. Replace white rice with the different form of whole-grain products like oatmeal or wheat bran. You can also serve brown rice to your growing kid. 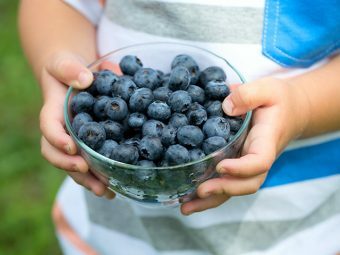 Encourage your growing kid to eat fruits instead of drinking fruit juice. We hope the above list of tips and foods help your kid to get rid of constipation. If these suggestions do not work for your kid, immediately consult a doctor so that a proper diet chart and medication are prescribed for your child. 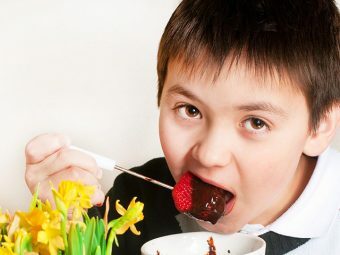 Share more relieving foods good for constipation in Kids with us.